Finally!! Back home in my own kitchen after a month of travelling. April will be "the Lost Month of 2014" for the foreseeable future. Every trip mattered...to me and to the individual. That being said, it's a relief to be home with my life partner...he's a sight for sore eyes. 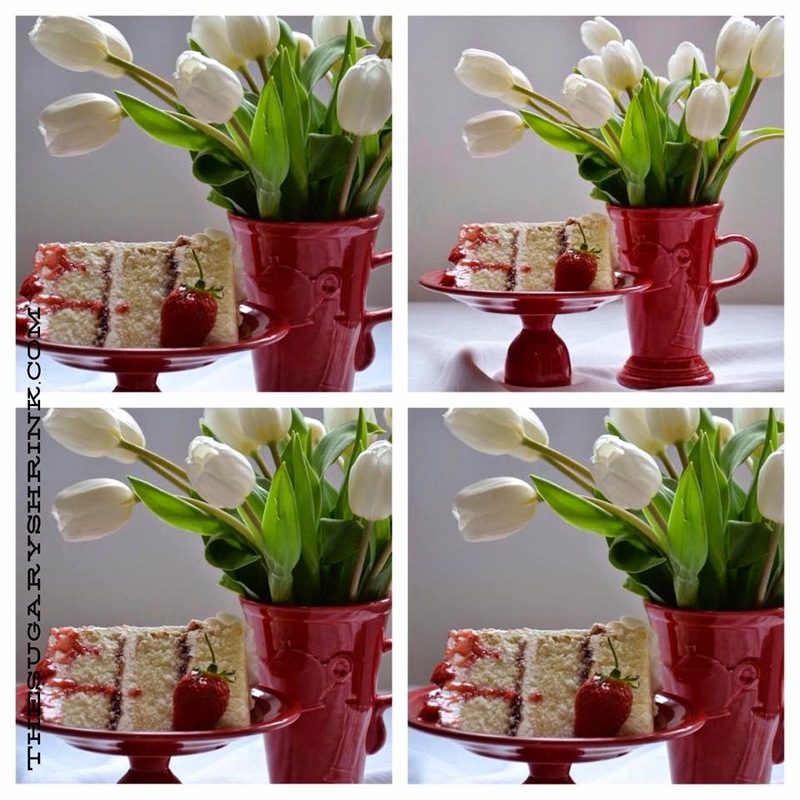 I love the flavoring of White Cake (recipe here) with its combination of vanilla and almond. The lovely whiteness is a terrific complement to a pop of color. 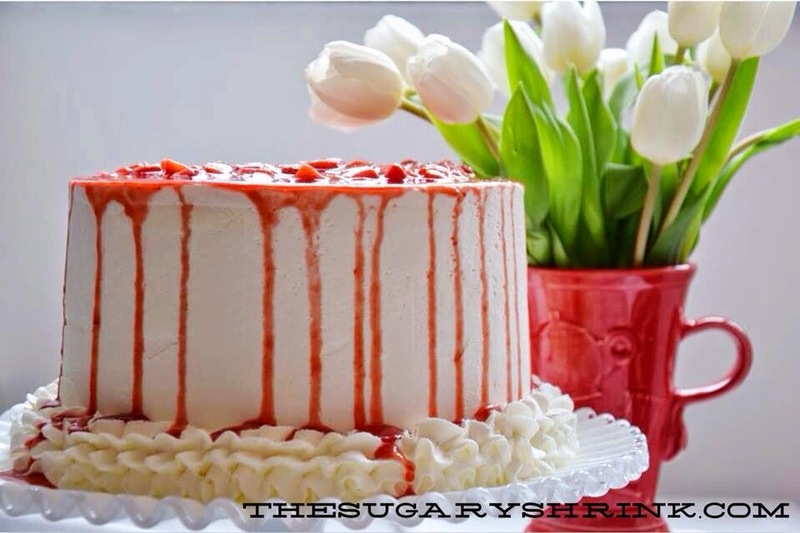 I didn't tint the buttercream in order to highlight the strawberry preserves. The filling used for this cake is a bit darker than I'd like; I'll make additional compote next time in order to have the garnish and filling match in color. I love using parchment or waxed paper on the cake rounds; the cake doesn't fall apart. between the cake and buttercream. I doweled this cake since the preserves inhibits the layers from staying put. In making the compote, I added to an extra in order to thicken the sauce and pump up the flavor. I cooked round one of the strawberries down and ran it through a sieve. Then I cooked the liquid down and added a wee bit of cornstarch to thicken it. When off the stove, I folded in freshly chopped strawberries. The heat of the cooling sauce just took the edge off the strawberries while maintaining shape. Next time, I'll thicken a bit more. The flavor was spot on. I've been thinking about this cake for weeks! Every time I've gone to bake it, something else popped up and I had to push this idea to the back burner. It was great to finally see it come together. 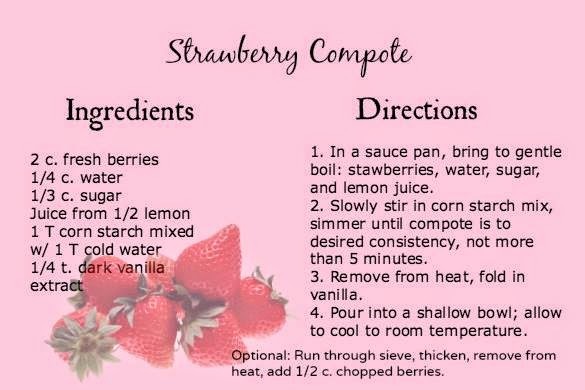 I was happy with the strawberries and I do love the flavor of the White Cake with Buttercream. This cake went to our friends at Starbucks... they welcomed it with joy and made quick work of getting slices served up. Over the course of my travels, I was able to pop into AA meetings. Last week in San Francisco, I found a great meeting in North Beach that was welcoming to the newcomer and old-timer alike. In the meantime, I'll keep baking and blogging. Parenting on two continents might be difficult, but it is doable. Mostly, it's possible because my life partner works to make it so. White Cake and Strawberries... so delicious. So glad you're back home and baking, the "lost month" was truly lost without you here! I love seeing your baking posts!!!! !